Delegation can be so important to both your time management and the advancement of skills for the team that you work with. In this episode we discuss 5 steps you can take to set everyone up for success. 1. First things first, evaluate your team. What are they strong at? What areas have both of you agreed to develop to allow them to move to the next level? Identify that for each member of your team monthly. It is an investment in them and that goes a long way. Once you have this identified, put it in your planner, notebook, or app that you use to organize your day. 2. If you have followed me, you know I am a huge proponent of making a daily to do list (I call it a brain dump). Once you have made that list, look it over. What things on your list fit within their strengths and what things are development points for them? 3. Take the things on your list that fit within their strengths, no more than three, and communicate those tasks. When you communicate these tasks with them, follow these 3 things. Give praise: Be specific about their strengths and why you choose them for these tasks. Give the expectations and share what is required: Meaning, when does it need to be done, is there a format it needs to be in, what or who needs to be included. Clear direction is a favor for both of you. Give grace: Let go of your expectations of how you would do it. If something comes back not accurate, take ownership for not communicating it clearly. 4. Take the list of things to delegate for development and make a plan. Some of these things you can pass along and let them run with it and give them ownership. As mentioned above, be clear with expectations and give grace. 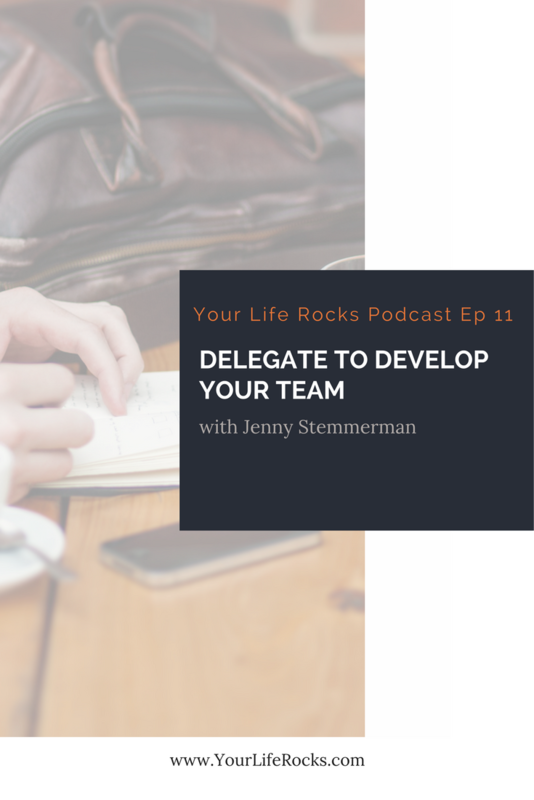 Some of the things you want to delegate need to be taught. The best way to develop a skill is to model, observe, and coach. This will take more time. Taking the time with this now gives so much time later. It is well worth it. This investment of time will pay you back in so many ways. 5. Follow up and feedback are important. Let your team know what was great and what to do differently next time. Give them a next time. If you delegate once then don’t do it again, it speaks volumes. Not in a good way.